Are you enthusiastic about a new Marvel movie, after seeing the highly expected Black Panther? You have the right reasons to be so, since action is more complex, villains get more attention and those effects are breathtaking. Well, next in line is The Avengers: Infinity War. The movie is set for release on April 27th, 2018 in the UK. The American public will see its premiere on May 4th (allegedly, also the Star Wars release date). The movie stands out as reportedly being the biggest blockbuster, due to a £400 million budget. Speaking of brands, this Marvel Cinematic Universe movie promotes its own legacy. Before looking into the future, let’s see what set the table for this superhero movie in the past. Read this article about Marvel’s logo history and see the details that made this brand famous. Audi is so visible in the Avengers movies, that you need to technically not see the movie, to avoid it. Audi vehicles are not surprising and usually fall off as victims, as they take part in destruction scenes. However, the brand got involved in supporting the movie and generated plenty of engagement. The brand’s Twitter account featured free tickets contests, trivia and much more. Also, let’s remember that the brand also took part in the Iron Man movies, with the R8 model. Audi is not a newbie in Marvel movies and should exploit the AudiAvengers hashtag more. Gillette may not have been the top brand visible in the last Avengers movie. However, it did know how to earn its public. The brand developed a razor which featured “Avengers-inspired technology” with models for each of the superheroes. However, no product was available for purchase. The fictional razors were the result of a partnership with Stan Lee and they featured a successful Facebook video. Though the initiative teased and then disappointed collectors, we’d love to see more of those marketing sparkles. 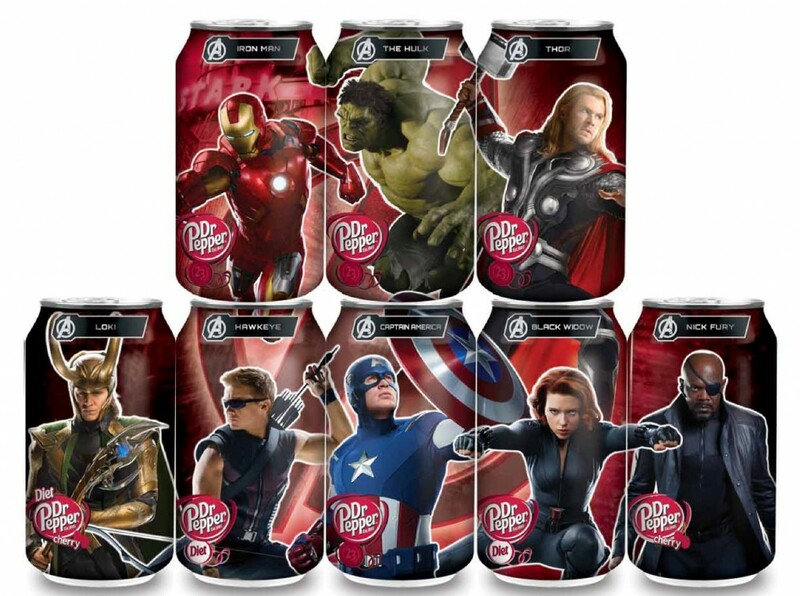 Dr. Pepper created a social buzz by creating a collection of product cans based on The Avengers: Age of Ultron. The brand was visible through the #oneofakindavengers and plenty of content. Dr. Pepper had contests, videos, and exclusive content for the products’ fans. The cans with the superheroes were successful and you can even see know people who sell such collectibles and even mention they are “unopened”, though undrinkable. For Samsung, superhero movies are no strangers. The brand had plenty of visibility in The Amazing Spiderman, among others. 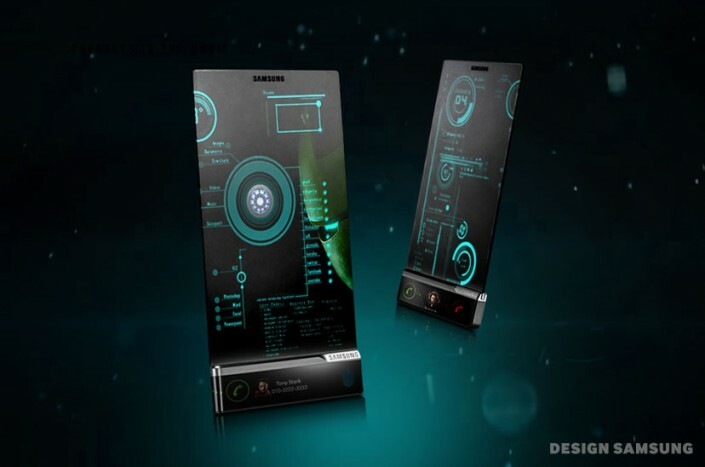 If Apple had its safe place in the Captain America movies, for Samsung there was room in the Avengers. In the last Avengers movie, Tony Stark had a scene where he offered a glimpse into future technology and held a see-through fictional phone. The brand also released a Captain America-themed phone due to the collaboration. The Tony Stark device from The Avengers: Age of Ultron. The clothing brand had almost 1 ½ minutes of screen time in the last Avengers movie. Under Armour provided clothing for Tony Stark (Robert Downey Jr.) throughout the entire movie. The brand was also visible in Captain America: The White Soldier. What’s eye-catching about this brand is that regularly it sells sports clothing. However, in the movie it’s associated with action and tech-friendly outfits. This makes it even more interesting for the next Marvel movie. The brand also developed a collection of compressed t-shirts for superhero collectibles enthusiasts. Maybe it will also do so after the new movie. Is There a Lexus Around? Lexus is the car brand loyal to the Black Panther. The brand was visible through the Marvel Cinematic Universe history. However, it did not get among the top 3 most visible brands. Yet, Lexus was there even for Comic-Con 2017. Moreover, the recent Lexus LS 500 F SPORT model had a highly appreciated ad which aired during the 2018 Super Bowl. Of course, the vehicle will appear in the February Black Panther movie, but Lexus tends to be spectacular. It might just do so in the next Avengers movie. Coca-Cola seems to love limited collection cans. In 2016, the brand released a collection of Marvel cans and packed the campaign into an entire hunt. The mini-cans were not for regular sale but were given as awards to marketing contests. They became collectibles and Marvel enthusiasts joined the hunt. The promotion came from a partnership between Coca-Cola and Marvel itself. It even included a teaser that invited the public to “watch the story unfold”. The Avengers: Infinity War is highly expected by Marvel fans, superhero movie enthusiasts, critics and marketers altogether. Brands wait in line and work on their strategies. We cannot guarantee that the above brands will appear in the next Avengers movie. However, we have good reasons to expect to see them there. This is a guest post written by Samuel Caverly, the Senior Editor of Logo Realm, a site where you can find the most popular logos, their history, and interesting details. 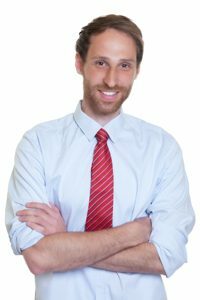 After getting his MS in Advertising from Boston University, he has worked for projects and firms as a freelancing graphic designer. When Will Filming On Location Go Out of Style?